As a student and politician and activist, Gaylord Nelson kept his eyes open. 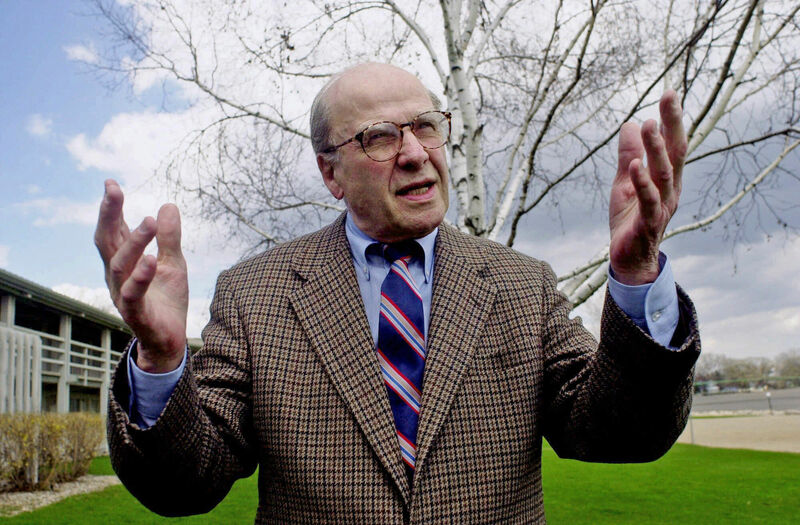 Gaylord Nelson had been a Democratic senator from Wisconsin for six years when he developed the idea for Earth Day in 1969. Originally conceived as a “National Teach-In on the Crisis of the Environment” at colleges and universities across the country, April 22, 1970, was selected to be the celebration’s first day because it conveniently fell between spring break and final exams on most campuses. Second, the media tools for Nelson’s activism existed. Writers, that is, wrote; activists staged actions; and robust progressive media made sure that the American people knew about it. During his time in state politics—first as a three-term state senator, then as governor—Nelson was inspired by the writer-activist Aldo Leopold, whom he met and whose Sand County Almanac (1949), today part of the canon along with Rachel Carson’s Silent Spring (1962), motivated his conservation initiatives. He developed the idea for the National Teach-In on the Crisis of the Environment after reading an article in Ramparts magazine about the inroads that teach-ins about the Vietnam War were having, an example of the importance of ideas that progressive media (like The Nation) can engender, provided they have a clear voice and dedicated audience. Progressive ideas flourish in the presence of other ideas; cross-pollination, like Nelson’s brainstorm to apply antiwar techniques to the environment, is necessary to ensure a continuous evolution of thought and dialogue. Finally, Nelson recognized the power he commanded as a US senator. He was, after all, an insider, part of the most exclusive club in America, and he used his power to leverage the federal government into action. As evidenced by the legislation he sponsored—including the creation of a national hiking trails system and the Wilderness Act of 1964—Nelson conceived of the US government as a facilitator of, for lack of a better term, the pursuit of happiness promised in the Declaration of Independence. When it comes to saving the environment, the pluck and intellect of a handful of inspired actors are not enough. Nelson recognized that only the federal government had the wherewithal to create a true national framework for conservation; this was not something that well-funded private enterprise (which lacked the motivation) or well-meaning activism (which lacked the funding) could do on their own. Unlike today’s government-is-the-problem attitude espoused by too many lawmakers, Nelson rightly saw that, at least in this case, government was one of the few players capable of creating a solution.